This Organic Juniper Face Wash has Jojoba Oil & Chamomile, an organic face care solution that leaves your skin clean, fresh and nourished. Certified Organic Ingredients used only; it’s hand-blended, natural, vegan product. 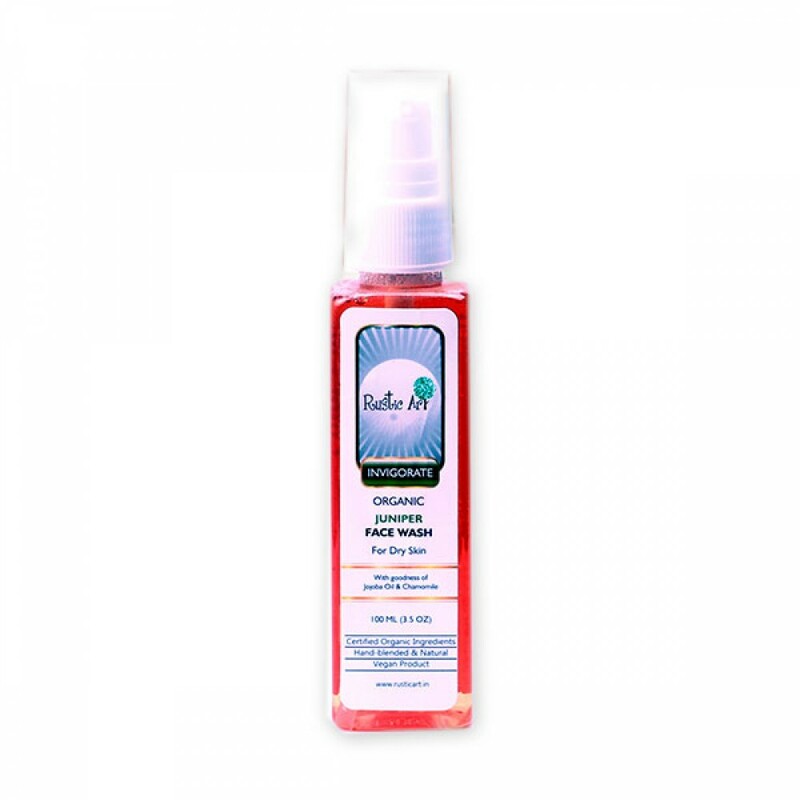 This Organic Feminine Intimate Wash has anti-bacterial properties; it’s absolute.. This Organic Lemon Face Wash is enriched with goodness of Bergamot, Lemongrass &.. This Organic Neem Basil Face Wash is with goodness of Geranium, Juniper, Lavende.. This Organic Coconut Hair & Skin Oil is a must have in every home! This oil ..